Want to get a massage? Well, get on the phone and arrange one now! But if for some strange reason you feel you want a little more persuasion, here are nine great reasons to go ahead and book! 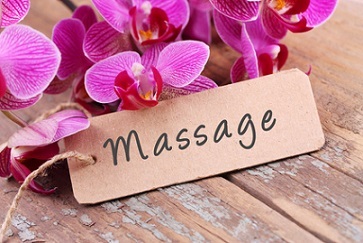 A preliminary study of the effects of a single Swedish massage on the immune function (including pituitary, adrenal and hypothalamic activity) of normal individuals suggested that significant biological effects can be achieved. This may have positive indications for helping those with inflammatory and autoimmune conditions. Even just a half hour of massage can help reduce cortisol and adrenaline levels, and relieve negative stress symptoms such as headaches, upset stomach, elevated blood pressure or chest pain. Reduced stress levels can also help prevent some harmful behaviours such as overeating, drinking or substance abuse. Research from many sources, has indicated that massage therapy can reduce anxiety in a wide variety of patients, including psychiatric patients, the elderly, chronic pain sufferers, stroke patients, adults with hand pain, women in labour, individuals at the end of life, headache sufferers and many more. Tension headaches can also be caused by anxiety, depression, insomnia and even sleep apnoea. Fortunately, according Massage Therapists Guide to Pathology, massage therapy gives resoundingly positive results. For more information about massage therapy and headaches and migraine, see our blog post: Massage therapy for migraine – relief is at hand. Provided you receive a massage from an experienced and qualified therapist who is able to target the correct muscles, massage therapy can be an excellent way of relieving chronic lower back pain caused by muscle tension. Massage can also decrease lower back pain indirectly, by lowering stress levels, as pain receptors are less responsive when the body is in a more relaxed state. Massage can help with depression in several ways. Physically, a client with depression can have a ‘structural collapse’, meaning they become physically compromised in certain ways, such as hunching over, and tightening muscles – particularly around the diaphragm, shoulders and ribs. Massage therapy can help alleviate these symptoms, enabling the patient to bring the body back to a more healthy alignment – and improving the breathing and energy levels. In addition, the act of physical touch and nurturing can provide significant emotional relief to someone suffering from depression. A growing body of research indicates that massage therapy can play a significant role in improving cardiovascular health, mainly by helping to lower blood pressure. High blood pressure (or hypertension) can lead to cardiovascular issues including stroke and heart disease. Massage is a safe, non invasive, and soothing treatment for hypertension, particularly for people who experience stress on a frequent basis. If treated regularly, massage patients demonstrate long term improvement in stress levels and heart rate. Sometimes we don’t know how tight we are until we’re loosened up! Massage is an excellent way to increase range of movement in many areas of our body. For example, stiff, tight computer necks can be loosened, allowing greater movement and decreased pain; our gait can be improved by releasing the psoas, knee problems can be alleviated by releasing surrounding muscles, and tight backs can be released…just to name a few. Maintaining and increasing range of movement is vital for fitness enthusiasts and athletes, but great for the elderly and those suffering chronic health conditions too.